Product code: 1037 Categories: Sold Items, Sold Watches. This is such an elegant Cartier watch for any woman. Made in 18ct yellow gold with both a matte and polished finish, this is from the Santos range. Measuring 22mm across (plus the crown) x 31.5mm, this watch looks so elegant and stylish on the wrist. 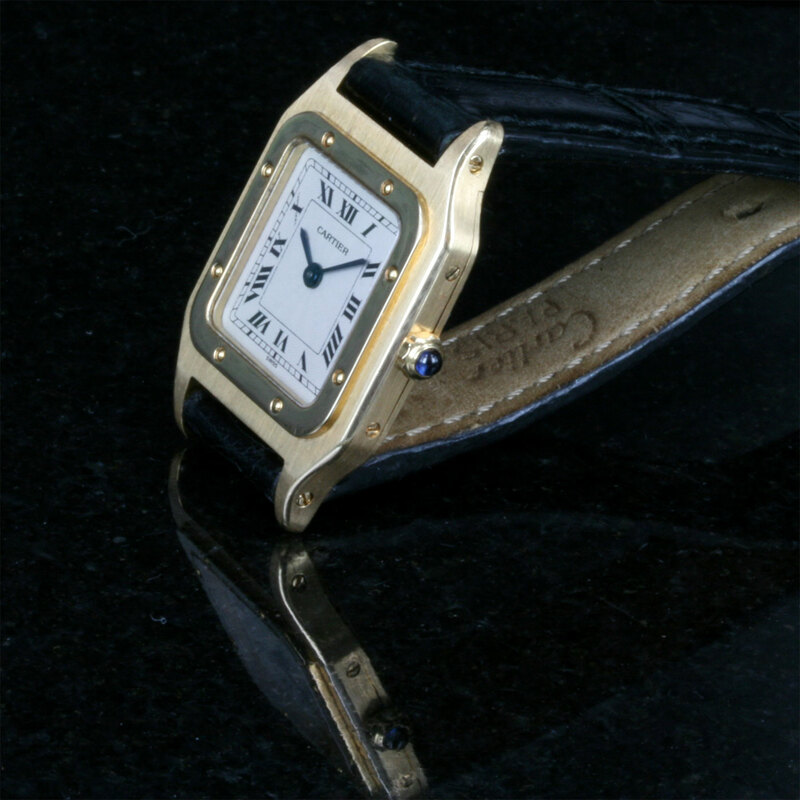 Fitted with a manual wind Cartier movement that keeps perfect time, this Cartier Santos also comes complete with the original cartier leather band and 18ct yellow gold Cartier buckle. 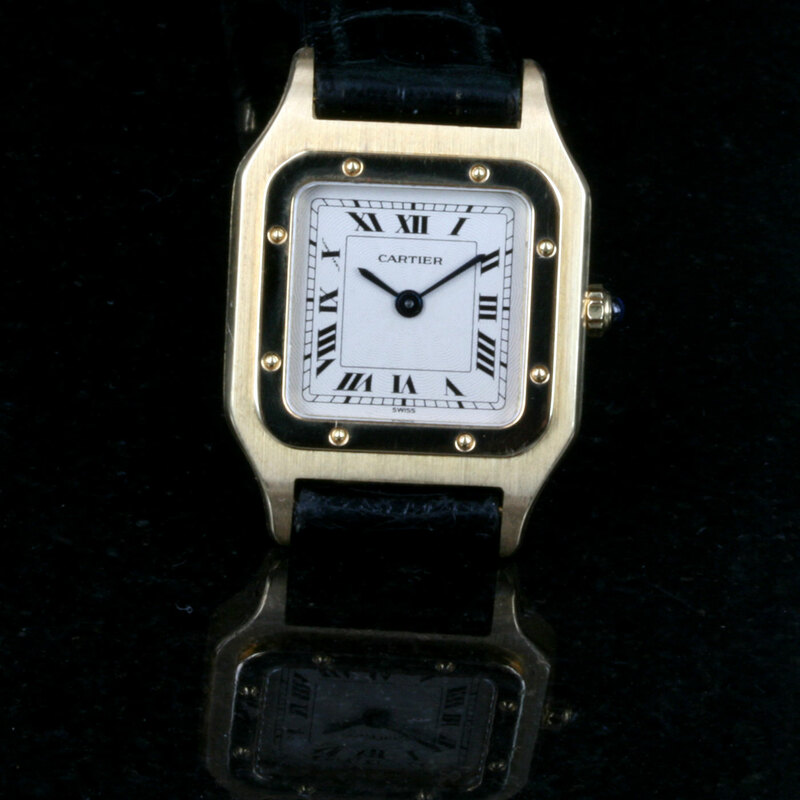 A fine quality Cartier Santos in solid gold such as this won’t last long.